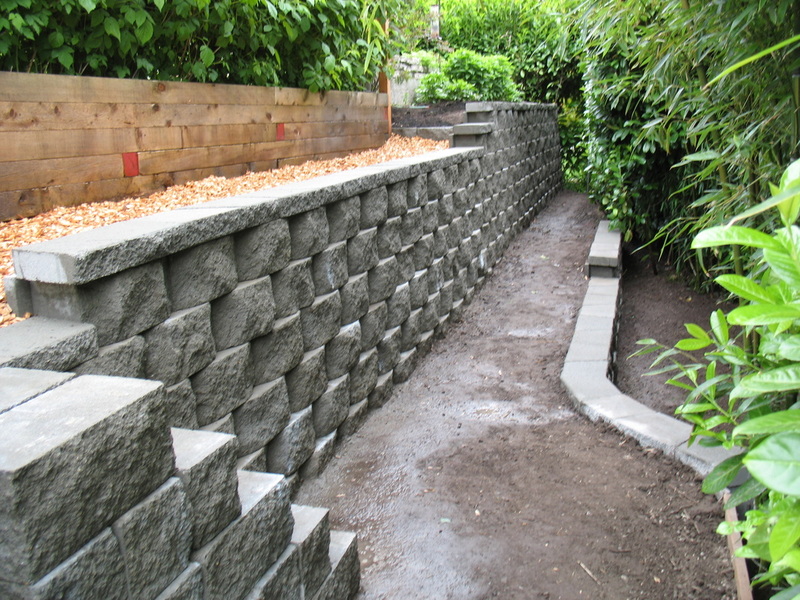 The clients existing retaining wall was unstable and crumbling. 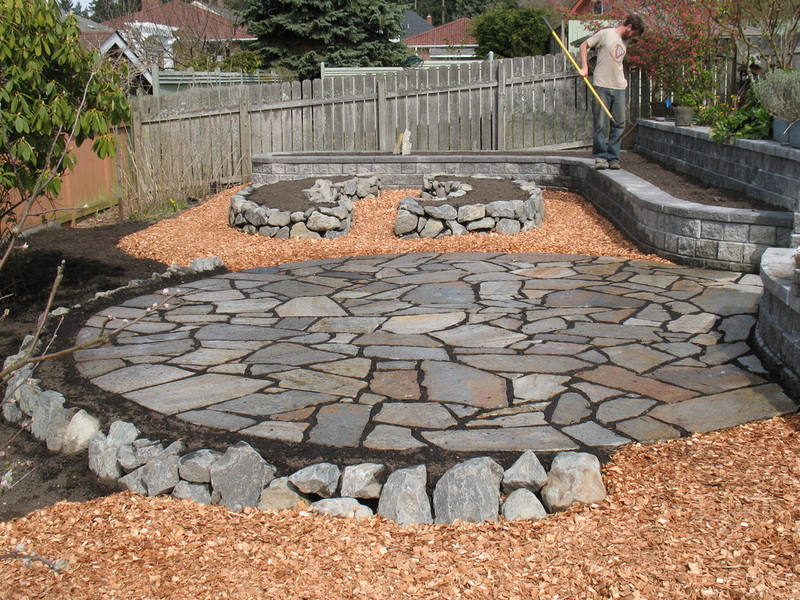 We removed replaced it with a tumbled basalt wall and and flagstone and boulder stairs. 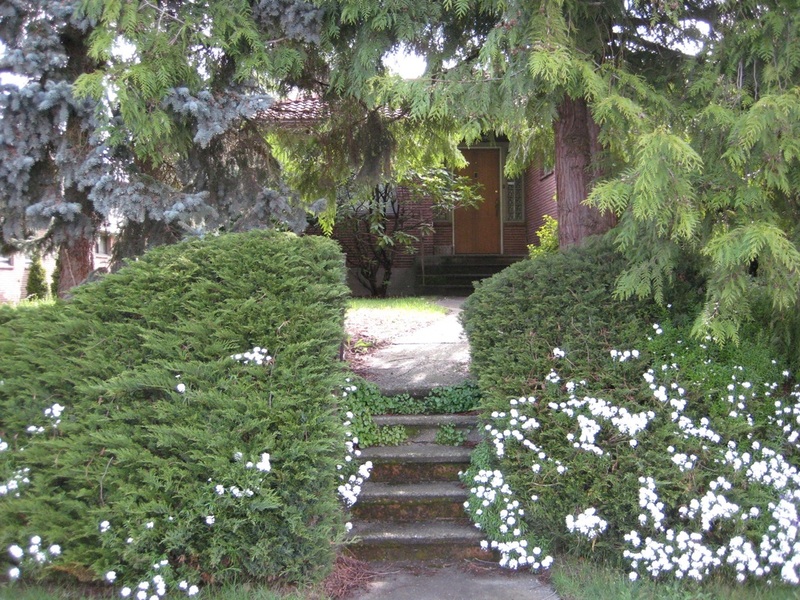 The oversized boxwood hedge was replaced with drought tolerant perennials. 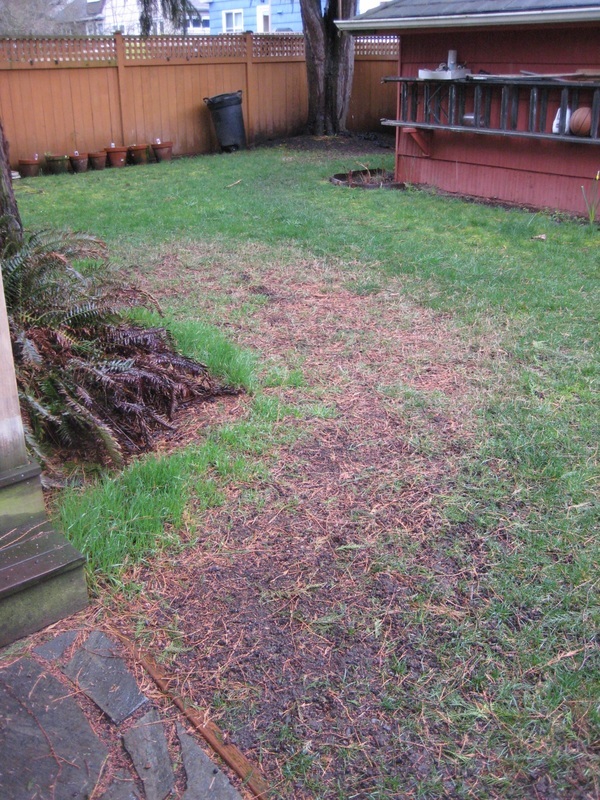 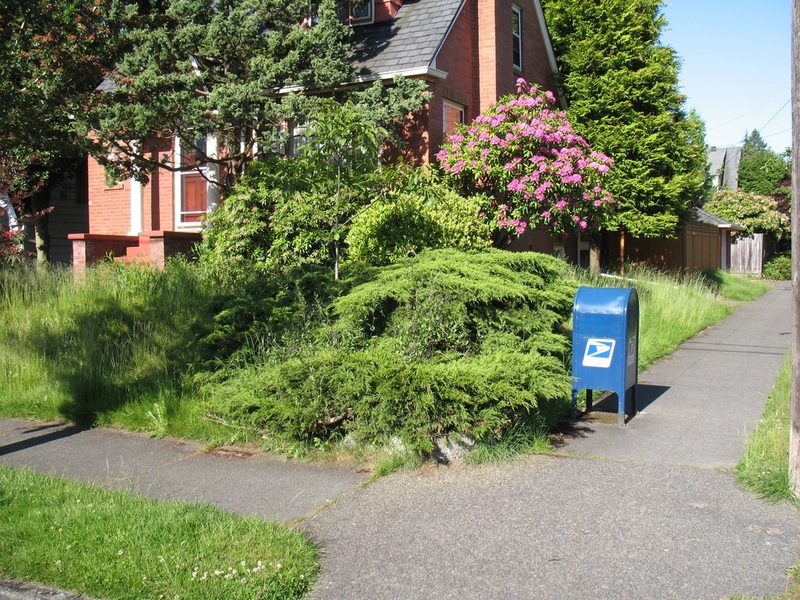 Client had a yard with juniper and a sloping lawn that was difficult to mow. 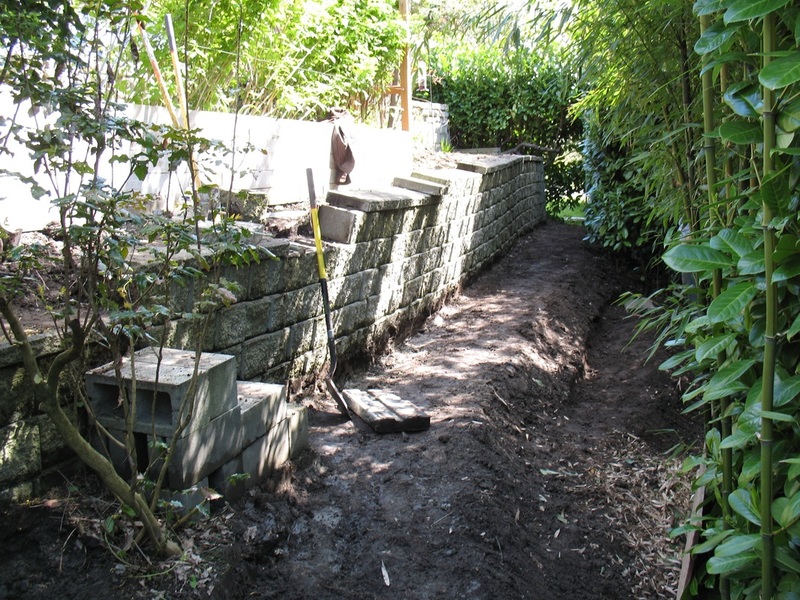 We removed all of the lawn as well as junipers and created a level garden space with a stone retaining wall. 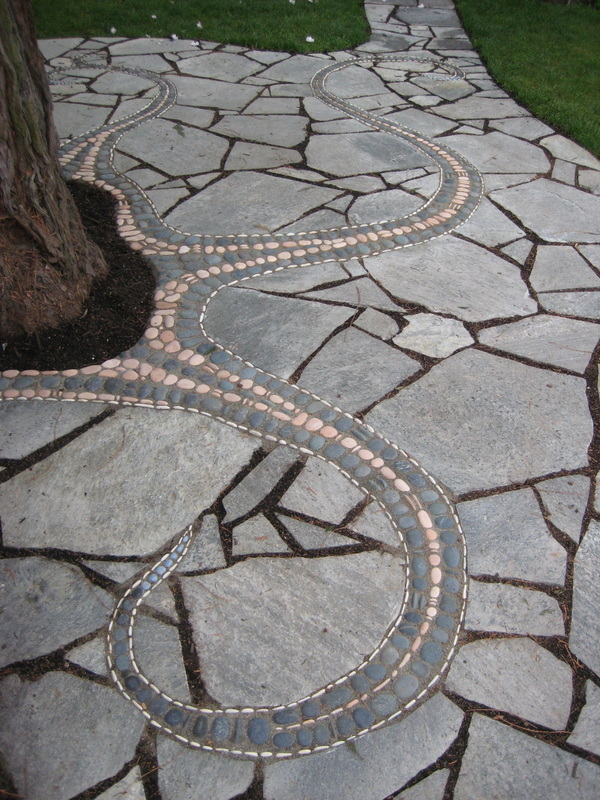 Widened and evened gaps in existing flagstone walkway so that a ground cover could be established and weeding would not be so difficult. 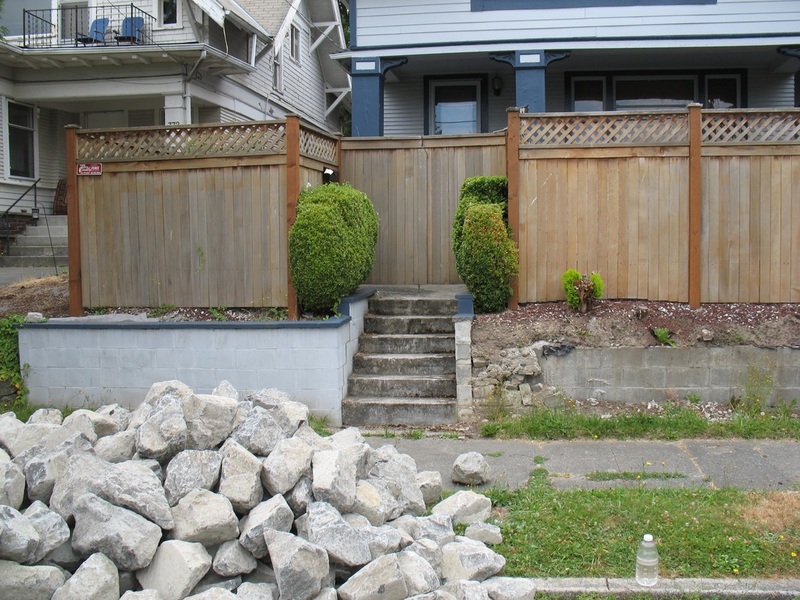 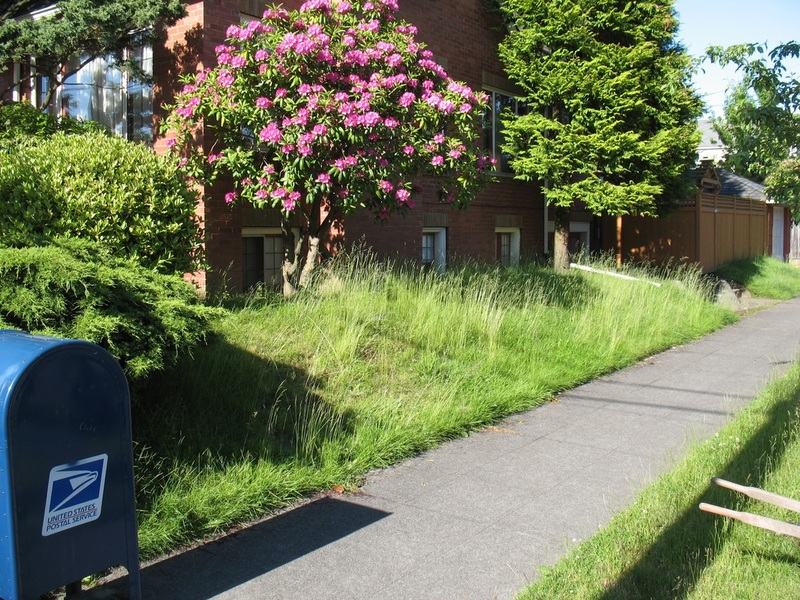 The existing retaining wall at the back of this property was improperly installed and failing. 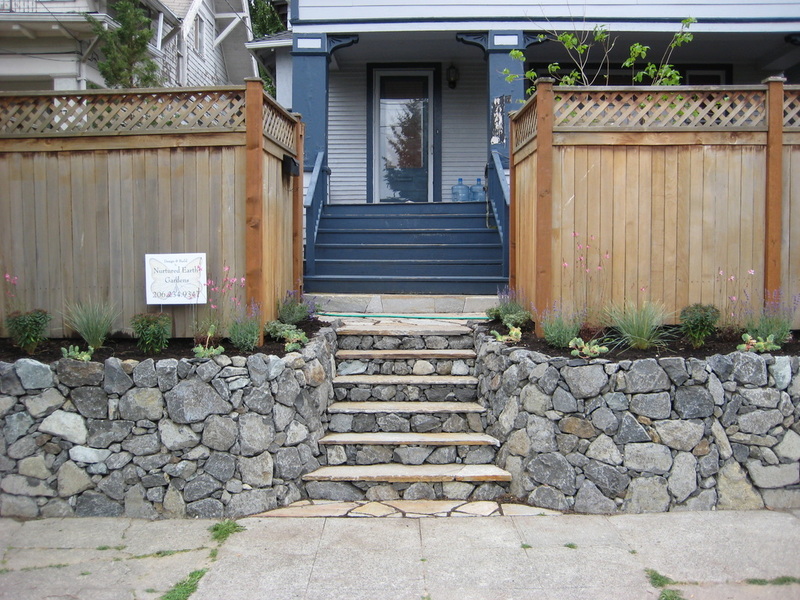 We rebuilt it, added a second smaller wall and stairs. 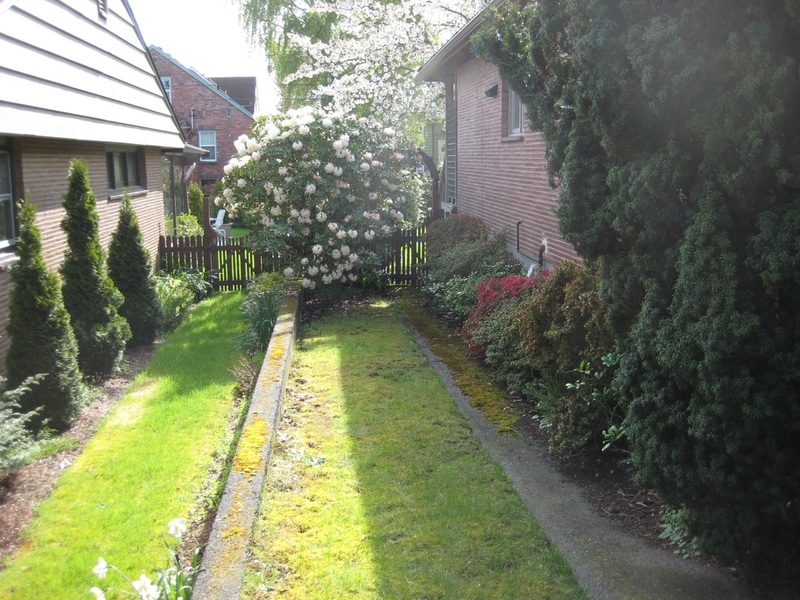 The client wanted to make this lawn and garden space more usable. 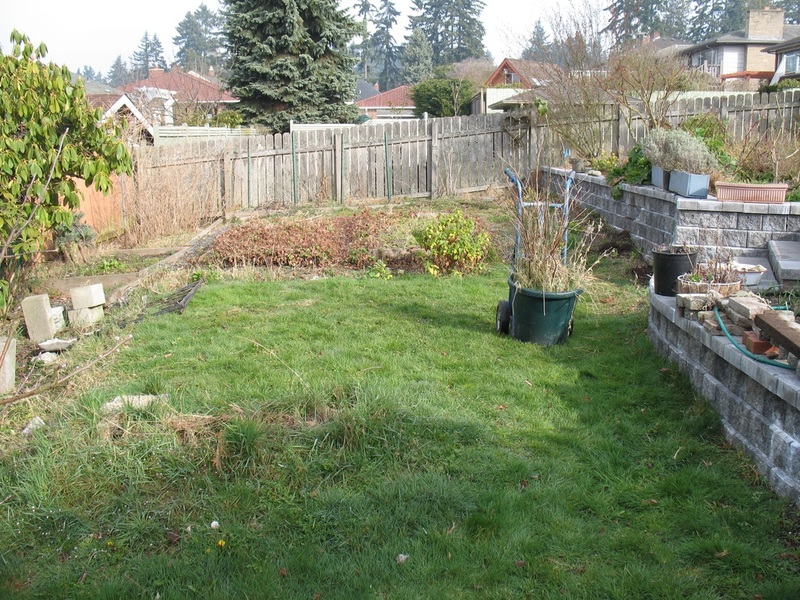 We built additional raised beds for vegetable and herb gardening and added a level patio space where a table and chairs could be brought in. 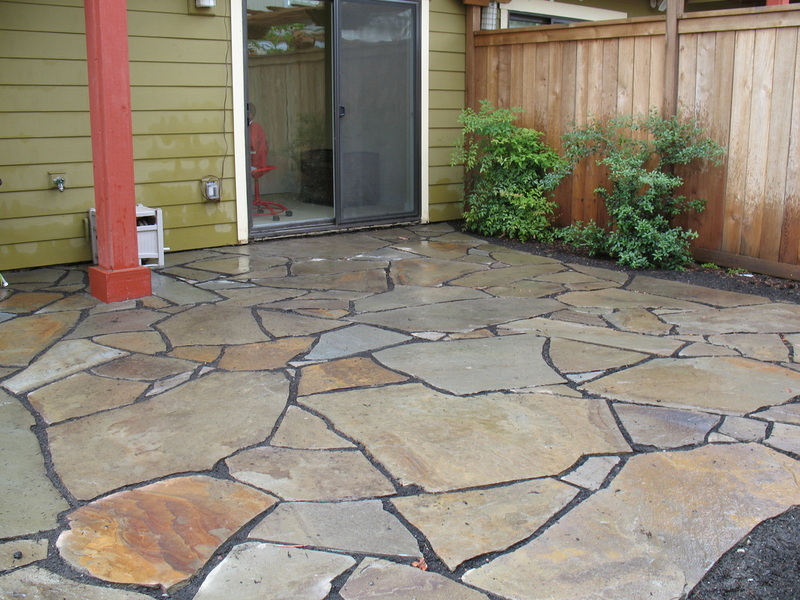 The back yard of this home had a very small bluestone patio space. 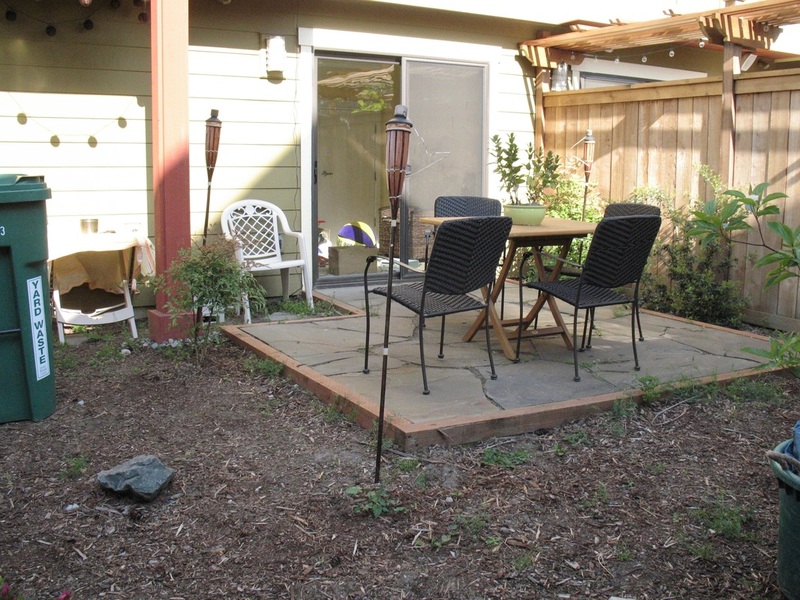 We incorperated the existing stone into a larger patio space that could accommodate a full sized table and chairs as well as their grill.